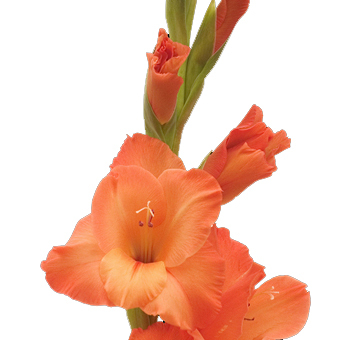 Gladiolus come in a variety of bright colors and is very popular for tall arrangements. They are wonderful DIY flowers. Our varieties require a few days for blooms to open, revealing their natural, beautiful colors. Super Premium varieties are available May through December. The Premium varieties are available year round. Please order 4 days before your event to ensure blooms are properly opened and order at least a month before to ensure variety and color availability. 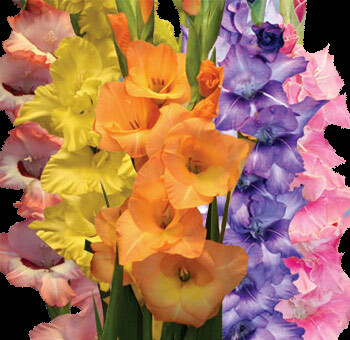 Gladiolus flowers are known as classic summertime flowers which come in a variety of colors with distinct appearances. They can be the perfect choice to line the edge of floral arrangements in bridal bouquets. These flowers can grow as high as 4 to 6 feet tall with their spiky and graceful blooms. These graceful and vibrant colored blooms are perennial and famous in the spring season. Gladiolus flowers are named after the shapes of their leaves, it is derived from the Latin word Gladius, which means sword. Hence, they are popularly known as Sword Lily or even as Corn Lily. These flowers can be traced back to Africa to many regions of the Mediterranean. Gladiolus are known as August birth flowers. In the true language of flowers, it signifies remembrance. These flowers have a varied range of colors with beautiful appearances. 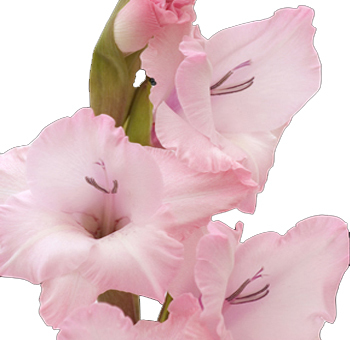 You can get your hands on fresh and beautiful gladiolus for sale online through trusted florists. These flowers grow in the wild with harsh living conditions, hence are considered to symbolize strength. With their capacity to grow so beautifully out of the hardships is something everyone can relate to. The deep pink flowers are called as Candyman. The Dream’s End variety of the flower comes with subtle light orange flowers with a large yellow center. While the Black Star variety comes as deep purple and red blooms. They can reach up to a height of 36 to 60 inches. The Prins Claus type comes with amazing pink colored petals. All the distinct varieties of the flower can make any onlooker fall in love with it. 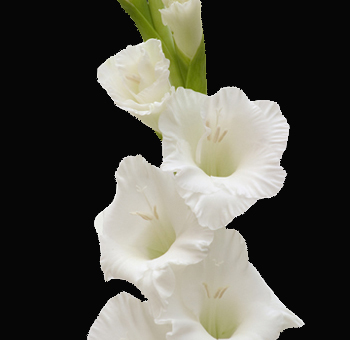 The graceful white gladiolus colors are widely appreciated for their alluring beauty. These attractive flowers mostly grow in semi-temperate climates as rounded and symmetrical blooms. They grow in many layers of brownish and fibrous tunics. 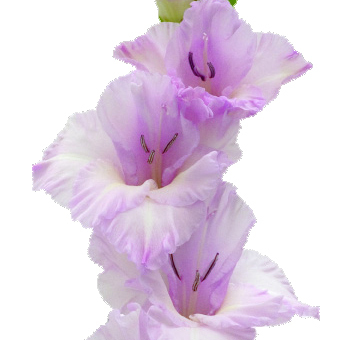 The gladiolus flowers can also represent infatuation to describe the strength of love. These flowers can be showcased as a sign of strong character, honor, and even faithfulness. It comes with many symbolic gestures of moral integrity and strength. 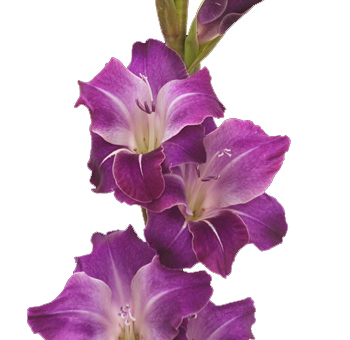 Gladiolus bouquet at weddings can feature its enchanting nature to represent the passion in the couple’s love. The vibrant and striking colors can extensively evoke the dramatic nature of the Roman Gladiators. So, every culture has its own significance for the Gladiolus flower. 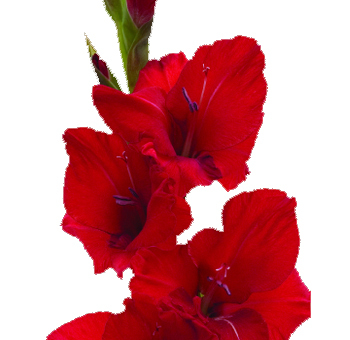 The elegant Gladiolus flowers come in gorgeous colors ranges. The yellow gladiolus colors can surprise anyone with its defining presence. The blooms are very easy to grow in spring season and bloom around summer. They can be showcased to gather a lot of attention with their stunning arrangements. 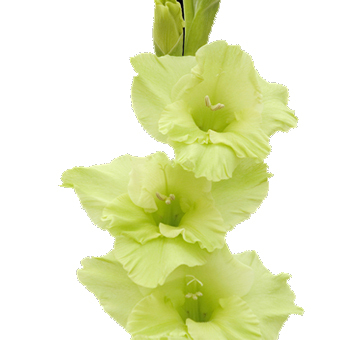 Gladiolus bouquet is very famous for weddings which enhances the beautiful look of the bride. The flower spikes come in a variety of popping colors that can complement any floral arrangement. They can be used to tuck inside creative flower beds or at any special decoration to bring out their beauty. These flowers will be excellent to group together in a vase arrangement or in distinct bouquets with other flowers. They are most popular in cut flower type of arrangements with their strong fragrance. 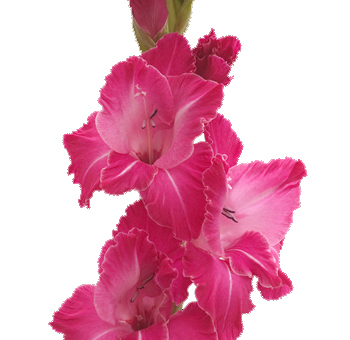 Gladiolus grow as multiple blooms within a single stem which can give a beautiful voluminous look. These flowers have the power to showcase the feminine beauty in any kind of special decoration. The sweet and alluring appearance of the flowers gives a glamorous overall look to the whole theme of the decoration. With their long vase life, these flowers can be very delicate which only adds to its graceful beauty. 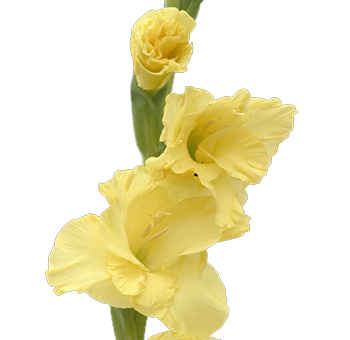 Hence, Gladiolus can be the perfect choice to beautify any kind of floral arrangement. Where To Buy Gladiolus Flowers With The Best Price And Quality? Get your hands on the elegant gladiolus for sale online through trusted floral shops like Whole Blossoms. These exquisite flowers have a long vase life and can be a great choice for decorations and flower arrangements. You can easily get in touch with reliable online florists who can provide you with Gladiolus flowers. The flowers can be perfect for making beautiful wedding bouquets or complement with any other floral arrangement. You can receive fully assembled Gladiolus flowers through Whole Blossoms. They offer fast delivery of fresh flowers right to your doorstep with just a single click. This flower also symbolizes strength in beauty and can be a great choice for any special occasion. Get the best quality of fresh flowers to enhance any decorative setup. With online floral shops to your rescue, there’s a limitless sphere of flowers to choose from. Surf through the wave of colors and variety of the flowers to select according to your preference. These flowers have the power to sway anyone with their enchanting beauty.